Bold Rock Hard Cider announced the opening of its brand new Cider Barn. The just completed hilltop taproom and cidery, located in the scenic mountain countryside of Nelson County, Virginia, will be a showcase destination for the emerging craft cider producer. All comers can now fully see where it all happens. The main tasting room and taproom sits next to the Bold Rock production and bottling facility, separated only by a huge glass window so guests can view the cider-making process. 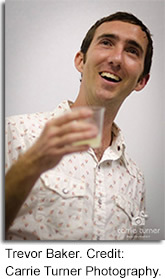 “We want people to see how cider is made,” says co-founder Brian Shanks. 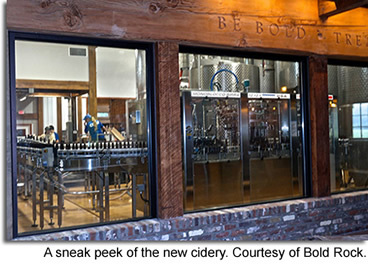 Enjoying Bold Rock cider at the taproom will indeed be a full experience. A large rear terrace built with a stage area for live music—overlooks the Rockfish River, as well as plenty of open green space for enjoying the rolling farmland on Bold Rock’s 50-acre property and surrounding Blue Ridge Mountains. Guests can eat from a menu of local, farm-fresh food and enjoy handcrafted, locally produced cider in a gloriously pastoral, family-friendly setting. Bold Rock is one of the fastest growing cider companies on the East Coast. Headquartered in Nellysford, and located just minutes from their providing orchards, Bold Rock produces numerous award-winning hard ciders. As Virginia’s largest winery, the company is quickly ramping up distribution across the region, now delivering across the Mid-Atlantic and Southeast from Pennsylvania through North Carolina. The Cider Barn will be open seven days a week, from 11am-6pm. For additional information, please visit BoldRock.com. When the economy crashed in 2008, Charles Durbin knew he needed a “plan B” to protect himself and his family. It was then he decided to pursue his dream of turning the additional space on his southeast Michigan property into a winery. It didn’t take long, as the property was fully licensed by 2012 and Rebel Jack was born. Rebel Jack released their signature cider this year. It is a dry cider that is created from 100% apple juice from local suppliers, most notably Dexter Cider Mill, where the apples are pressed. It is fermented to complete dryness and then bottle conditioned. Much like craft beer, bottle conditioning produces sediment at the bottom of the bottle. This sediment is the expired yeast that drops out of the cider once the carbonation is complete, which gives it a champagne-like feel. Rebel Jack can range in alcohol by volume, anywhere between 10% and 13%. This makes each small batch of Rebel Jack unique. Rebel Jack is currently self distributing and supplies are very limited. They are only producing 100 cases a year and are not permitted to build a tasting room on site. To add to the obstacles, they currently cannot distribute their cider across stateliness. However, Durbin remains positive that Rebel Jack will grow in the future so he can make cidermaking his full time job. Rebel Jack currently has 50 accounts in Southeast Michigan and is steadily growing. 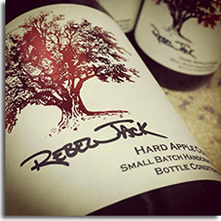 Check out their website at RebelJack.com to find out more about Rebel Jack Hard Cider as this small dream blossoms into a delicious reality. Photos courtesy of Rebel Jack. Noble Cider announced earlier this month that it has purchased a 9,000 square foot building at 356 New Leicester Highway in West Asheville, North Carolina, to serve as their new home for full-scale hard cider production. The new cidery allows the company to increase their production and distribution of its local, craft hard cider, as well as open a tasting room. The new location will house an apple processing line, a tasting room, a cider garden, and a future packaging line. Noble Cider entered the market in 2013 with 2,000 gallons (63.5 barrels) of their signature semi-dry, “Standard Bearer.” This year, Noble produced 14,000 gallons (444.5 barrels) of hard cider and added two new flavors: “Village Tart,” a hard cider with tart cherry; and “Blue Bard,” a hard cider fermented with blueberries, rosemary and honey. 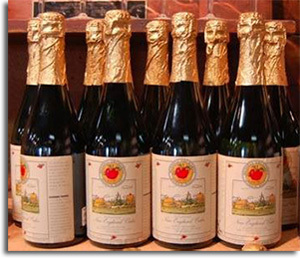 The company’s growth mirrors that of the hard cider industry growth. According to a recent beverage market analysis by Techmonic.com, hard cider sales have increased from 5.4 million cases sold in 2011 to 9.6 million in 2012, to 13.2 million in 2013. Noble Cider will begin building the new cidery immediately, and plans to open in the next several months. 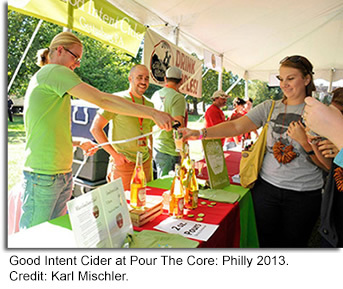 After a sell-out debut in 2013, the 2nd Annual Pour the Core: Hard Cider Festival will be returning to Philadelphia - don’t miss out! The festival will be held this Saturday, September 27th, 2014 from 1pm to 5pm on the Marine Parade Grounds located at the Philadelphia Navy Yard at 4747 South Broad Street, Philadelphia, Pennsylvania. Enjoy crisp tastings of everyone’s favorite forbidden fruit as Pour the Core will showcase over 40 cider brands and 75+ ciders including local favorites from Frecon’s Cidery, Good Intent Cider, and Wyndridge Farm, national best-sellers like Angry Orchard and Strongbow; and festival sponsors such as Woodchuck. Plus, try a variety of imported ciders and perries from Spain, England and elsewhere such as Maeloc – making its festival debut. Limited tickets are still available. As fall kicks off, contact your friends and family to enjoy the first weekend at Pour The Core with you. Think fall leaves, crisp outdoor air, and delicious beverages throughout an afternoon spent with other apple aficionados, fermentation fanatics, and cider supporters. In addition to cider sampling, attendees will have the ability to attend seminars on the difference between dessert and cider apples, what is a cyser, and gluten-free cooking with cider. Plus, there will be exhibitor tables to shop at and food available to purchase from Philly’s finest food trucks including Samboni’s featured on the Food Network’s hit show “Great Food Truck Race.” Live music will also be performed by local favorite, Kyle Herring. Festival goers are welcome to bring blankets and chairs but don’t forget hats, sunglasses and sunscreen. This is an outdoor event that will be taken place under tents, rain or shine (no refunds). Get your ticket today for a great day of keeping the doctor away, celebrating everything the apple can offer! This 21+ event will help raise funds for the Committee to Benefit the Children, a non-profit organization dedicated to improving the quality of life for children and their families who face cancer, leukemia and serious blood disorders. Proper photo ID must be presented at the door upon entry. A sell-out is expected so buy your tickets before heading to the event. General admission tickets are available online for $40. Designated driver tickets are also available for $10. Children and pets are not permitted. To purchase tickets or for any additional information please visit: PourTheCore.com/Philly. 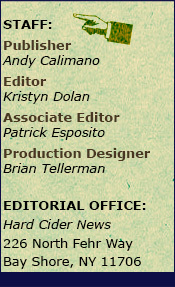 Pour The Core: A Hard Cider Festival will also be coming to Long Island, New York on October 4, 2014 at Peconic Bay Winery in Cutchogue. The summer may have come to an end, but Russell Orchards is giving everyone a reason to look forward to the cool weather. The Ipswich, Massachusetts orchard has been producing cider since 1988 and is proud to announce their newest hard cider addition: Uncle J’s Ice Cider. This is the newest innovation from Russell Orchard’s already impressive line of hard ciders, perries, and fruit wines. Uncle J’s Ice cider is created through a process where they freeze the concentrate giving the defining name “ice” cider. At 8% ABV, Uncle J’s offers a combination of sweet and spicy flavors. 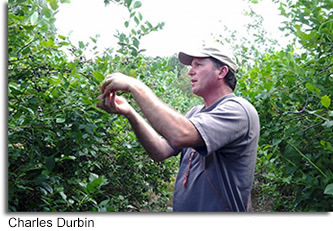 Doug’s farm experience dates back to his teenage years when he would spray and prune the trees. His father, Max, passed on his years of knowledge in the farm business to Doug. Miranda joined the business in 1992 making pies and cutting flowers. Her responsibilities quickly grew and over the years she began to manage several areas of the business. Together, Doug and Miranda, took over the business as owners in 2008, the same year Doug’s brother Jason began making wine. 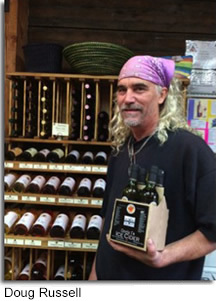 Uncle J’s Ice Cider, along with Russell Orchard’s ciders and fruit wines, are only available at their retail store. They can be purchased in 375mL singles, 4-packs, and 6-packs. Their store is located at 143 Argilla Rd, Ipswich, MA 01938 and is open from May to November. Visit RussellOrchards.com for additional information. Photos courtesy of Russell Orchards. 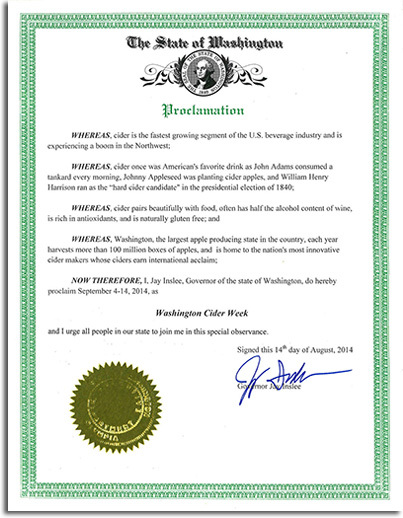 Earlier this month, Governor Jay Inslee formally proclaimed September 4-14, Washington Cider Week, further acknowledging the apple state sits at the center of the country’s fastest-growing beverage. Cider flowed throughout the region during the 10-day celebration from Seattle to Spokane, Pullman to Wenatchee, and Yakima to Tacoma. Founded in 2010, the association had grown from 10 to 50 members, and Cider Week’s events have exploded from a handful to hundreds. Washington Cider Week started four years ago as a way to introduce more people to cider. “Now it’s a week of celebration by those who love cider and who want to introduce it to their friends,” said Campbell. Northwest cidermakers, known for their creative innovation and commitment to quality, are getting well-deserved recognition from around the world. This spring they earned a collective 80 medals, placing in every category, at the 9th Annual Great Lakes International Cider and Perry Competition. Recently two new cider competitions were launched by the Northwest cidermakers themselves, the Portland International Cider Cup by Reverend Nat’s Hard Cider, and the Pacific Northwest Cider Awards by Seattle Cider Company, further demonstrating this pursuit of excellence. 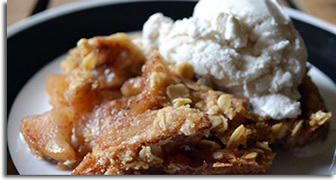 Additional events included cider and apple pie paired with two opportunities to meet renowned food writer Rowan Jacobsen during the release of his new book Apples of Uncommon Character. 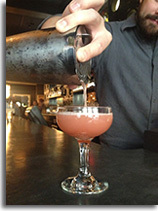 Some daily highlights in the Seattle area included cider cocktails, food pairings, and cider flights at Boka Restaurant and Bar, 30 taps featuring only Northwest ciders at Capitol Cider, and samplings at PCC Natural Markets throughout Puget Sound. The Cider Summit Seattle, a hard cider festival, was followed by the grand opening of a new cider house by Schilling Cider featuring over 30 draft ciders – available as tasting flights, pints or growlers – and 250 packaged ciders, to drink on site (no corkage fee) or take (unopened) to go in the Fremont neighborhood. “We will only be carrying ciders made without artificial flavors or other non-craft ingredients,” Co-Founder Colin Schilling said. “In addition to a great selection of craft ciders, all draft ciders will be tested to provide information drinkers won’t find elsewhere.” This information, to include residual sugar, titratable acid, and pH, will be displayed on a menu board much like craft breweries display IBU information currently. To view the entire list of events held during Washington Cider Week, please visit NWCider.com.